Have you ever wanted to enable an application to access your soundcard or interact with another application via the soundcard? Soundflower is a free audio system extension that allows applications to pass audio to other applications. Soundflower emulates the interface of an audio device but allows any audio application to send and receive audio with no other support needed. It opens as one of two audio devices (2ch/16ch). For most people and needs, the 2-channel device is sufficient. If you want an application to interact with another application via the soundcard, select Soundflower as the output device in the first application and Soundflower as the input device within the second application. If an application does not allow you to specify audio devices, you can make Soundflower the default input or output device inside the Sound panel in the System Preferences, or with the Audio MIDI Setup utility application which is the only slightly tricky part. You may hear interference at first when you setup an audio channel and if so, the developers recommend increasing the buffer size of both applications (set within each application). 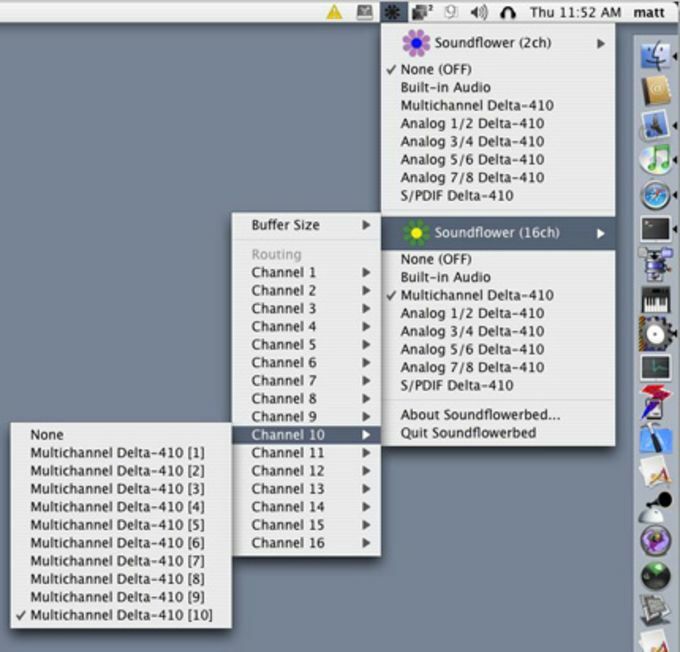 Note that if more than one application is sending its output to the same channel, the audio will be mixed. 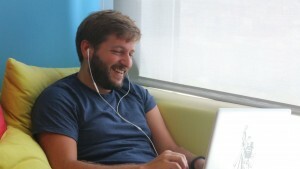 The practical usages of Soundflower include conducting interviews with both voices. So instead of recording an interview with Skype and only hearing one voice, Soundflower allows you to record both voices for a more professional production. Alternatively, it's useful for routing audio from applications such as iTunes and Spotify to other applications and devices. Note that this download is for OS X 10.5.8+. You can also download the OS X 10.4 compatible version (Version 1.4.3)..
Soundflower is a remarkably effective and free audio routing solution..
Well, it doesn't work. I read the uninstall instructions and don't understand any of it. Programs like Clean My Mack won't find it so it cannot be uninstalled this way. Definitely not for 'normal' users. by The Ferg is the Word! I love it! Never had any issues with it, install is simple and easy and I'll never use anything else! Garbage. STAY AWAY. Corrupt files. No experiencing problems on my computer that we not there before installing and uninstalling.